The typical spectacular maze of hoodoos with some trees in between in Bryce Canyon National Park illuminated by warm morning light. 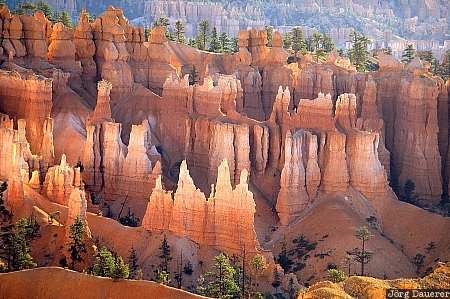 Bryce Canyon National Park is in southern Utah in the western part of the United States. This photo was taken in the early morning of a sunny day in May 2002. This photo was the image of the month in October of 2012.